A friendly, contemporary Harlow hotel near Stansted Airport and trains to Central London Set in the thriving town of Harlow on the border of Essex and Hertfordshire, Holiday Inn Express® Harlow hotel is 15 miles from Stansted Airport, with easy access to the M11 motorway. Harlow Town Station is a 20-minute walk away, where you can take a 35-minute train ride to London Liverpool Street Station or catch the Stansted Express to the airport. A major hub for buses and coaches, Harlow Bus Station is right next to the hotel. Corporate guests are less than 10 minutes' drive from Harlow Enterprise Hub, and the Harlow Business Exhibition is held in Town Park on the hotel's doorstep. Three elegant meeting rooms host up to 42 delegates, with audiovisual equipment and catering services. Popular attractions in Harlow include Gibberd Garden and Gibberd Gallery in the Civic Centre, and you can follow Harlow's Sculpture Trail as you shop along the pedestrianised Broadwalk. It's a five-minute stroll from the hotel to Harlow Leisurezone, and within 20 miles you can visit family-friendly attractions such as Broxbourne Paradise Wildlife Park and Hertford Castle. Wi-Fi and breakfast are included, you can tuck into traditional British food and beers in the lobby bar and restaurant. Friendly staff can recommend a good pub in Harlow or the West Essex countryside. With a stay at Park Inn by Radisson Harlow in Harlow, you'll be within a 15-minute drive of The Gibberd Garden and Bishop's Stortford Golf Club. This eco-friendly hotel is 10.6 mi (17 km) from Paradise Wildlife Park and 13.2 mi (21.2 km) from Epping Forest. The town of Harlow in Essex is one of England's original planned communities, designed by Sir Frederick Gibberd in an effort to ease overcrowding in London following the Second World War. Today it is a vibrant community that attracts visitors from across the UK who come to enjoy the town's shops, museums and numerous visitor attractions. 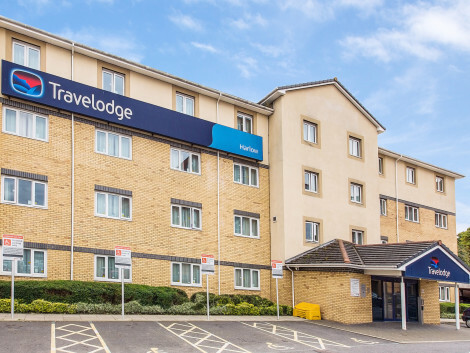 We have a range of Harlow hotels listed on the site and you're sure to have no problem finding accommodation in the town to suit your budget. Anyone who loves live music and entertainment is well catered for. Harlow Playhouse hosts an eclectic programme of events from concerts and drama productions to comedy shows and children's entertainment. Offering a more intimate experience is The Victoria Hall Theatre, capable of seating just over 100 people. Alternatively, you could get tickets for a gig at The Square and catch a live band. Parndon Mill is a centre for the visual arts and its galleries showcase everything from ceramic work and sculptures to paintings and prints. Gatehouse Arts provides emerging artists with studio space and you can visit the group's East Gate Gallery to view new pieces of work. Discover all about the history of the town and local area at Harlow Museum & Walled Gardens, home to exhibits that date back to pre-historic times as well as items from the present day. Harlow is home to an impressive collection of sculptures and it's now possible for visitors to download the Harlow Sculpture Trail App onto a mobile device. This acts as a guide for a walking or cycling tour, providing information on the various pieces of art dotted around the town. You could also stretch your legs with a three-and-a-half mile stroll along the banks of the River Stort, a route that links Parndon Mill with the delightful Gibberd Garden. Youngsters will be thrilled to meet the animals at Pets Corner in Harlow Town Park, or spend a few hours having fun at Harlow Bowl, the town's indoor 10-pin bowling alley. It was planned that Harlow should have a market as the central focus in the north of the town. Stone Cross Market opened in 1956 and is now held five days a week. Stalls sell a wide range of items from fresh produce and pet supplies to clothing and craftwork. The Harvey Centre is another retail hub in Harlow. It is home to major retailers and department stores, as well as independent businesses. It attracts in the region of 240,000 people through its doors every week.